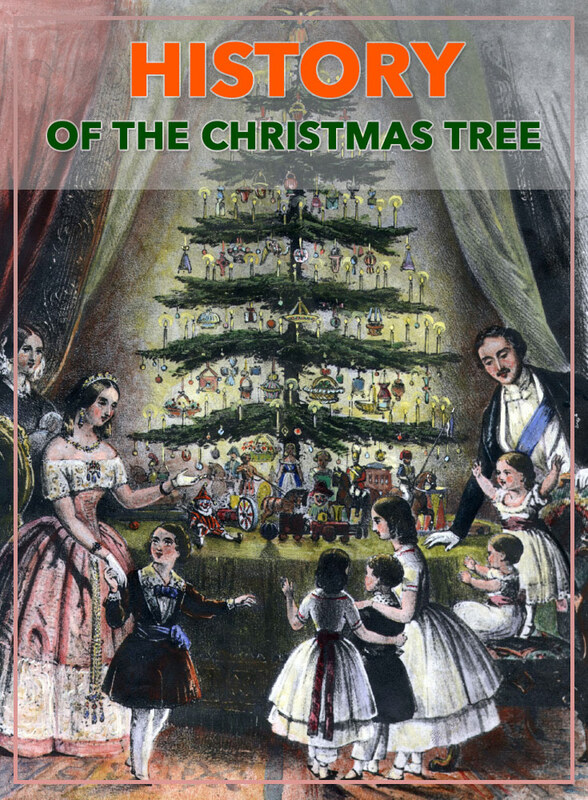 Ever wonder about the history of the Christmas tree? The evergreen fir tree has traditionally been used to celebrate winter festivals (pagan and Christian) for thousands of years. Pagans used branches of it to decorate their homes during the winter solstice, as it made them think of the spring to come. The Romans used Fir Trees to decorate their temples at the festival of Saturnalia. Christians use it as a sign of everlasting life with God. Germany is credited with starting the history of the Christmas tree tradition as we now know it in the 16th century when devout Christians brought decorated trees into their homes. Some built Christmas pyramids of wood and decorated them with evergreens and candles if wood was scarce. It is a widely held belief that Martin Luther, the 16th-century Protestant reformer, first added lighted candles to a tree. Walking toward his home one winter evening, composing a sermon, he was awed by the brilliance of stars twinkling amidst evergreens. To recapture the scene for his family, he erected a tree in the main room and wired its branches with lighted candles. A Christmas tree is a decorated tree, usually an evergreen conifer such as spruce, pine, or fir or an artificial tree of similar appearance, associated with the celebration of Christmas. The modern Christmas tree was developed in early modern Germany (where it is today called Weihnachtsbaum or Christbaum) with predecessors that can be traced to the 16th and possibly 15th century, in which devout Christians brought decorated trees into their homes. It acquired popularity beyond Germany during the second half of the 19th century, at first among the upper classes. When it comes to the history of the Christmas tree, the tree was traditionally decorated with edibles such as apples, nuts, or other foods. In the 18th century, it began to be illuminated by candles which were ultimately replaced by Christmas lights after the advent of electrification. Today, there is a wide variety of traditional ornaments, such as garlands, baubles, tinsel, and candy canes. An angel or star might be placed at the top of the tree to represent the archangel Gabriel or the Star of Bethlehem from the Nativity. Edible items such as Gingerbread, Chocolate and other sweets are also popular, and are tied to or hung from the tree’s branches with ribbons.